Well, hello, to all you intrepid souls who made it this far into the webpage. I really appreciate your interest in the The Tales of Larkin and in my message on teaching with stories. Since you are on this page that tells me that you are interested in learning more about me (or it just means that you clicked on the wrong button). Be that as it may, you’re here. I do actually have a day job. I am a practicing veterinarian near Columbia, South Carolina. 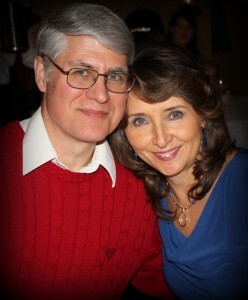 My beautiful and amazing wife Valerie and I have been married for over 41 years…to each other! We have six children whom we have home schooled for over 27 years. 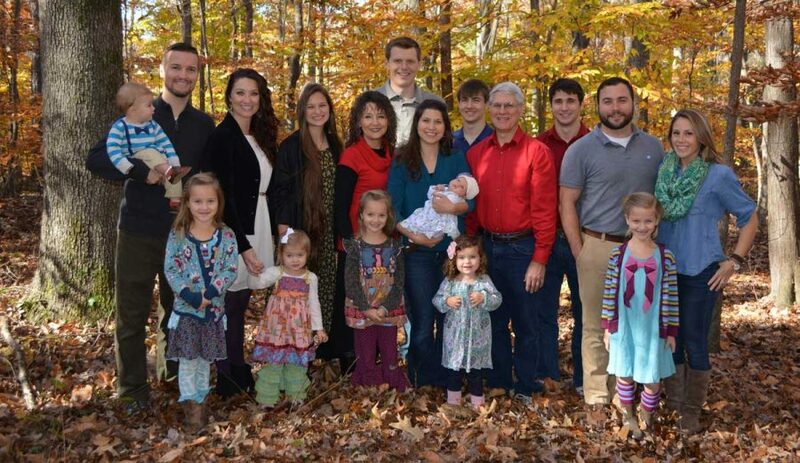 The three oldest of our children are married and have given us seven very precious grandchildren. We also share our home with a fun, adorable, opinionated (though sometimes ungrateful) pug, named Millie. I began the first The Tales of Larkin book many years ago simply because I had an idea for a fun story but I had to set it aside due to the demands of veterinary school. Years later when we were sitting around as a family having fun telling stories we reached a point where we ran out of stories but we weren’t ready to stop. That’s when my oldest daughter, Lisa, remembered my story and suggested that I read it to them. “Oh I remember that! It’s about those little men!” my son, Clint quickly added. “But you didn’t like it when I tried to read it to you before,” I answered. “We were just kids then, Dad,” Lisa returned knowingly. “PLEASE READ IT, DADDY!” they begged. So I pulled out my old yellowing story pages and began to read. When bed time came they were begging for more. I read my story to them every night for almost a week until I got to the end of what I had written. My children were so anxious to know what happened next in the story that I was motivated to start writing again. Every time I finished a chapter it became a big deal. We called them “Larkin Nights”. We usually did them on Friday or Saturday evenings. My wife would fix a special meal, and then after we all helped clean up, we would retreat to the den where I would have the kids help me review the story and tell me where we had gotten to. Then I would pull out the new chapter and begin reading. Just to make it more fun for them I would make up voices for the characters in the story. Those became great family bonding times. Shortly after we began doing this my wife and I decided to start homeschooling our children and I discovered that reading the chapters of my tale to the children gave me precious teachable moments. Because the children were really into the story, I was able to ask them questions at the end of each chapter that let me reinforce the important lessons I wanted them to remember for that chapter. "This is no run of the mill novel, but rather it is a story like no other that could quite easily jog right in there alongside of such greats as C.S. Lewis or even Tolkien. In fact, I would say it is the best of Lewis and Tolkien, woven together into one novel to which Harris has added fresh new vigor and the sweet sweet truth of the Savior's love for us all! "It's original, a breath of fresh air, and will keep your children's attention from start to finish!" The The Tales of Larkin perfect for the whole family to read aloud. The Larkin world consists of foraging, fighting, building, and hunting. Action-packed, full of comedy, and very exciting, a budding warrior or bandit will thoroughly enjoy this series. –Natasha Metzler, author of Pain Redeemed and Christmas! Our family so appreciates having a whole series of books from a trusted author. I can hand my voracious reader the next book in the series without previewing it. The books also make great gifts for other families who love wholesome and humorous adventures! "Thank you for creating a world my kids can enter and learn about the heart of Jesus. You have a fan base in Georgia!" "No author has captured my reluctant boy reader who thrives on adventure like Alan W. Harris has." "Out of 5 stars Larkin’s Journal was a 10 star book! 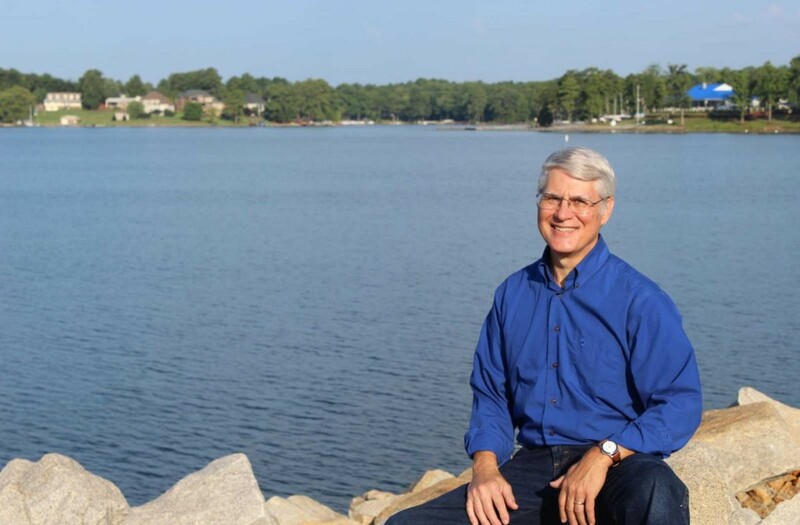 Dr. Alan Harris is a master when it comes to storytelling." "With characters reminiscent of Hobbits, sporting ready and witty tongues to match any Narnian Dwarf, the Larkin fight the Renegades in battles that rival the Lord of the Rings. In the style of Redwall and The Wingfeather Saga, this series by Alan W. Harris will delight lovers of Tolkien and Lewis alike. If you love The Green Ember or The Growly Books, you need to read Hawthorn’s Discovery." "Locusts in a field of corn have nothing on our boys reading The Tales of Larkin. Devour – it’s the best word to describe their response to author Alan Harris’ new book. Hawthorn’s Discovery is a story packed with adventure, courage, honor, friendship, treachery, danger, great loss, and intrigue . . . and just about everything a great story has to have. But, beyond the great storytelling, it’s a story about The Story of redemption, woven artfully into the history of the tiny race of hearty people called Larkin." “Them Harris folks shor do clean up purdy,” Rush observed.